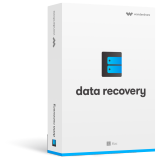 Comprehensive Mac data recovery to recover your lost Mac data quickly, safely and thoroughly, so you can get on with enjoying your media files. Connect your memory card through a card reader to your Mac computer or laptop then click the Wondershare application icon on Mac launch the application. Select the specific type of files, there are a few options such as Photo, Audio, Video, Email, Document and Others. Select the option of "External Removable Device". If you cannot find your memory card, click refresh icon to search, the memory card is detected by this software. Select your memory card and click "Start". The software will start quick scan first, you can preview them to check if your file has been located. If you can’t find your files, please go to "Deep Scan". The option of Deep Scan to search more files from Memory Card, it will take longer than the quick scan. Please be patient and do not interrupt it in the middle of the process if not necessary. After the deep scan completed, all the recoverable files have been found they will be displayed as a list in left popup tab, you can preview them to check if your file has been located. Click the recover button and specify the location to save your recovered files. Save all the recovered data on another storage device to avoid data overwriting. Supported OS: Mac OS X (Mac OS X 10.6, 10.7 and 10.8, 10.9, 10.10 Yosemite, 10.10, 10.11 El Capitan, 10.12 Sierra) on iMac, MacBook, Mac Pro, Windows 10/8/7/XP/Vista etc.